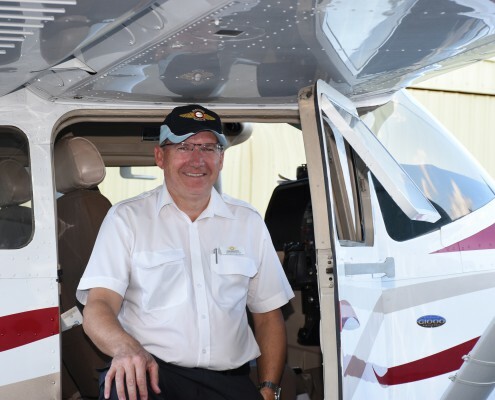 At the Redcliffe Aero Club, we’re proud to have a highly trained, professional and long-term team of Pilots and Support Staff who excel in all things aviation. With around 8 Instructors on staff we are one of Queenslands largest flying schools, able to support your training needs with a vast level of experience but still with that INDIVIDUAL level of detail. Our Instructors are friendly, supportive and experienced, and the quality of our people reflects in the quality of our Students. Please take a look below and get to know our team! Stephen joined the Team at Redcliffe Aero Club in 2015 as Chief Executive Officer. He previously served on the Board at RAC for eight years holding the positions of Company Secretary, Vice President and President. Stephen completed his training at RAC including PPL, CPL, Multi-engine Command Instrument Rating and Instructor Rating. He has owned and operated three aircraft including two Cessna twin engine aircraft. Before joining RAC Stephen was Managing Director of a national planning and design company for five years and a Director of that company for 12 years. 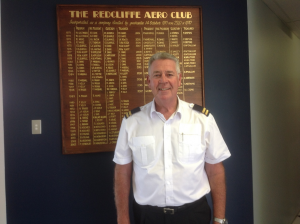 Mal has been flying since 1999 and conducted all his training at the Redcliffe Aero Club. This was preceded by a successful career as a senior technician with Telstra, before deciding to pursue his long term passion of flying. 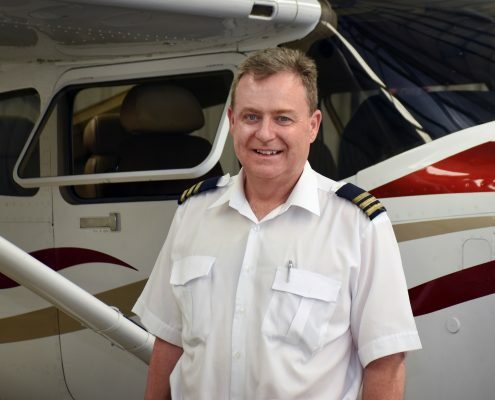 After obtaining his CPL, Mal gained aerial survey experience in both Cessna 320 and Cessna 402 twin engine aircraft, before deciding to become a Flight Instructor. Mal also teaches tailwheel and aerobatics. 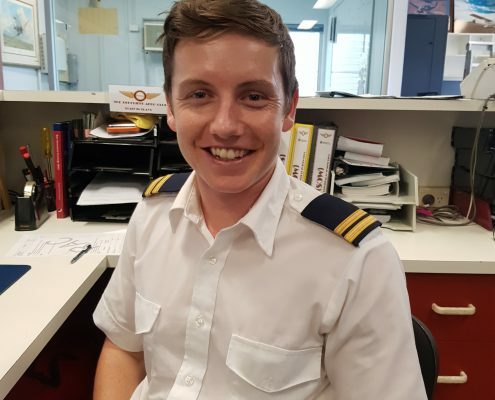 Nick started his flight training at Archerfield in 2013 while he was working for QantasLink, completing his CPL in 2015. Nick was offered a job at the flying school through which he conducting his training and became a Grade 2 Flight Instructor with this school. In 2016 Nick completed a Multi-engine Instrument Rating with The Redcliffe Aero Club. Nick then started working for RAC in 2017. Nick enjoys instructing and ideally would like to teach Multi-Engine IFR, aerobatics and formation flying. Outside of aviation Nick enjoys SCUBA diving and most things to do with technology. Callum has always been passionate about Aviation. 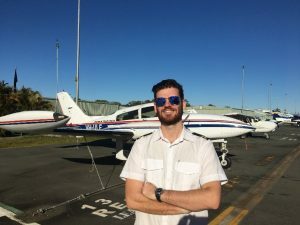 Whilst studying Aviation at Griffith University he took on a mentoring role leading him towards a career of flight instructing. Callum enjoys instructing and he finds great satisfaction in getting the best out of his students. Callum started at Redcliffe as a member back in 2014, completing his instructor rating in 2015, before going on the help with the HKFTC. Callum is committed to continual professional development having just completed his G2 upgrade, he is now focussed on completing his ATPL theory subjects. Marks path into aviation began in 2010 here in Redcliffe, where he had his first introductory flight. Shortly after that, he began studying at Griffith University where he graduated with a Bachelor of Aviation, and a Graduate Diploma of Flight Management. Mark completed his flight training at Archerfield Airport, achieving his commercial licence and multi-engine instrument rating in 2014. After graduating in early 2015, he worked for a year and a half in a warehousing role before making a move to the north side of Brisbane. He then completed a flight instructor rating here at RAC. Joe obtained his PPL while working on the Army staff in the Australian Embassy in Washington in 2001. After completing 30 years in the Army Joe obtained his CPL and Instructor Rating at the Royal Queensland Aero Club. 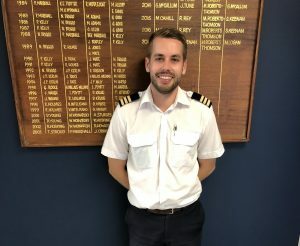 Since then he has accrued about 3,200 hours of instructing at RQAC, Airline Academy of Australia, Air Queensland and BASAIR Aviation Academy. Joe holds a Multi-engine training approval and instrument rating. He hopes to continue instructing as long as he can because he enjoys the people and the flying. JM began his flight training at Archerfield in 2014 as part of his Griffith University Aviation Studies. He completed his CPL and Multi-Engine Instrument Rating in 2015 before coming to Redcliffe to complete his Instructor Rating with RAC. 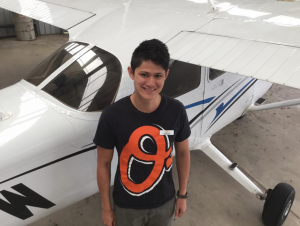 After finishing his instructor rating he spent some time working in the operations department at JETGO before starting as a full time Grade 3 instructor with the club. JM enjoys instructing and looks forward to expanding his skills and experience. He hopes to renew his instrument rating with the club soon. Jack joined the Redcliffe Aero Club as a student in 2013 and completed his training with RAC. Jack holds a Multi engine class instrument rating. 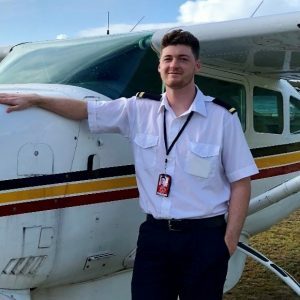 After a year of skydive flying in Hervey Bay Jack became a Line Charter Pilot with the Redcliffe Aero club in March 2018 and looks forward to expanding his knowledge and skills. Lauree joined the Redcliffe Aero club team in February 2018 as a full time RTO Coordinator. 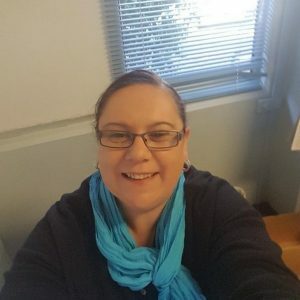 Lauree brings with her over twelve (12) years’ experience in the Education and Training industry specialising in the Registered Training Organisation sector. 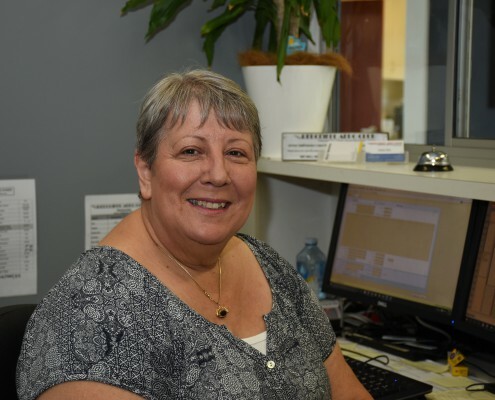 Lauree has comprehensive experience with ASQA and training package regulations, VET sector, various Government funded programs and various student management systems. Lauree has Nationally Accredited qualifications in Business, Business Administration, Management, Human Resource Management, Finance, Quality Auditing, Security and Risk Management, Training and Assessment. Assessment Compliance, as well as assisting students with meeting their training responsibilities and supporting them through their education journey. Mary joined Redcliffe Aero Club in 2015 as a full time office administrator. She has a backround in Admin, Sales and Customer Service. 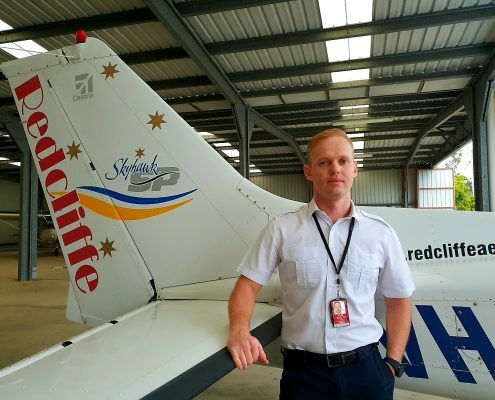 Shawn joined the Redcliffe Aero Club in 2016 and successfully gained his private pilot’s licence soon after. He is currently studying at university and assists with reception and administrative duties at RAC every weekend. Shawn is looking forward to undertaking tailwheel and aerobatics training in addition to training for a commercial pilot licence. Sam is a procurement and logistics professional, with a banking and contracts management background. He is an active pilot, training and flying with RAC since 2007 and holds a private pilot license as well as a NVFR. Sam operates a private company providing procurement and logistics management services to a number of major Australian mining and retail brands. 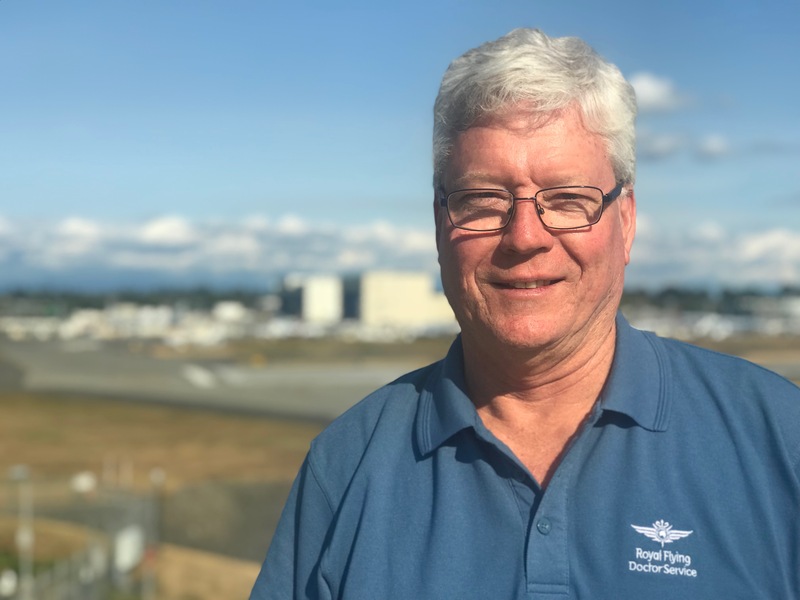 Mark has been involved in aviation for the last 40 years. He has been a member of the Aero Club for the last IO years, and is an aircraft owner. He has previously worked for three airlines both in Australia and overseas. During this time, he has kept an interest in general aviation and flown regularly as a private pilot. Margot is a project management professional with a background in construction, mining, education and hospitals. She commenced her flying with RAC in 2006 however due to extended work commitments throughout Australia and then being based regionally in Queensland to project manage a large 4 year mining project, she was unable to complete the final requirements to achieve GFPT prior to putting flying activities on hold. Margot looks forward to returning to flying training and also participates in the monthly fly-away. Bryan is a lawyer by occupation having been admitted as a solicitor 38 years ago. He has practiced as a lawyer for 25 years and was a Councillor and Deputy Mayor of a large Queensland local government council for 13 years. Bryan also has a Masters in Urban and Town Planning. Bryan currently manages a specialist law firm employing eight lawyers across two offices. He commenced his flying career in 2009 and holds a PPL licence. Ristan has a background as a veterinarian with over 30 years in private practice. She has also been involved with veterinary and medical teaching and research for many years, and is an Honorary Associate Professor with The University of Queensland. She currently runs her own consultancy in biomedical research. As the daughter of an airline pilot with family relocations through Brisbane, New Guinea and Melbourne, she has always had a keen interest in aviation. Ristan obtained her PPL with R.A.C in January 2014, with MPPC and tailwheel endorsement since then. Thomas works within the Queensland Department of Health. Tom has been a member of emergency response teams in several countries and is currently working on interoperability and improved communications between the 3 major public safety agencies in Queensland. Tom joined the Redcliffe Aero Club in 2008 and holds a commercial pilots license with passes in all ATPL subjects. Ray stared flying as ATC cadet in 1956. 40 years with two major airlines. 6 years with CASA. ATO and consultant instructor after that. Now retired. Has always maintained interest in vintage /warbird aircraft. Maintained instructor rating since 1959. Has Two vintage aircraft.